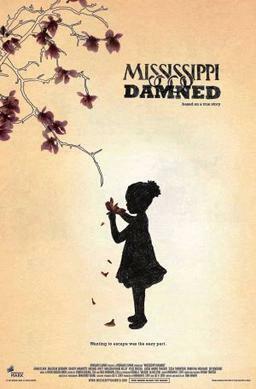 Mississippi Damned is the rare drama with a predominately Black cast which doesn’t feature comic reliefs but strictly dramatic performances. One heartbreak after another to the point where you’re glad some storylines aren’t as developed as they could and should have been. Kari: Daughter of Delores and Junior, she seeks out her aunt Anna for most of her needs of a mother. If only because she is the only one which seems to really support her having dreams and aspirations. Leigh: With her being lesbian, in Mississippi, especially discovering this in the 80s, life is hard. Her parents don’t support it, the one girl she loves refuses to commit to her, so she just lives life the best way she can. Longing for the one which got away. Sammy: While a talented basketball player, his injuries and demons bring his downfall. Anna: With a husband who is cruel, and a momma who ain’t much better, it is a surprise Anna remained the sweet one of her three sisters. Especially as the ability to have children was lost, among other things. Charlie: With a no good boyfriend and alcoholism, Charlie’s life is a mess. Something which could partly be blamed on what her daddy did to her for years and her mom refuses to accept any part of. But things get much worse when she ends up in jail after snapping under pressure. Delores: A decent man with a horrible gambling problem, cancer, one daughter who is gay and another who you feel guilty for needing. Who knew life would give you more problems than just paying your bills on time? While no tears were shed, connecting and absorbing the story of each of these characters were exhausting. For whether it was money struggles, being molested, cheating husbands, alcoholism, and so much more, it is all so taxing on you. Then, to make matters not necessarily worse, but definitely more real, there isn’t a character strictly hired to make you laugh amongst all this. There isn’t someone with the type of sass or snappy comebacks you might be used to seeing in Black predominate films. It is a straight up drama focused on damn near every problem you can think of and showing how the cycle of any of the mentioned unresolved issues go from generation to generation. Like many films which give equal focus to all of the actors, you are given enough to understand what is going on but no actor is allowed the opportunity to outshine their peers. With this, while you may get to connect to characters and are left with a heavy heart, you don’t get that real gut punch. You don’t get to experience the full effect of neither Charlie nor Kari trying to deal with living life after, possibly, being molested multiple times and for years. You don’t get the full experience of Leigh being a queer woman in the South before there was any form of the acceptance, much less tolerance. Also, we don’t the full extent of how complicated the relationship is between Charlie, Anna, and Delores is with each other, their husbands/boyfriends, much less their mother. Someone who seems like a real piece of work but only Charlie has the chance to illuminate how what she did, or didn’t do, affects her. The film makes a 12-year jump halfway through the movie and while many things remain the same afterwards, also a lot happens. To the point, you have to take a good 10-15 minutes to catch up with what happened everyone. Which is sort of jarring. Especially when it comes to Kari and her family, for their lives are the ones which change the most. The discovery of this movie stemmed from being a fan of Tessa Thompson and truly, this is the type of movie which is like bricks on a foundation, a taste of what an actor is capable of. But I must admit that while she may be the reason I watched this movie, I want to seek out what the other actors have done since the film’s release as well. For while I may have shed no tears nor got my fill when it came to any character’s life story, partly thanks to that 12-year gap, this film has a rare quality. If only because it is unrelenting in showing pain and is short on showing joy, laughter, and pleasure.